Looks empty now but during rush hour EZPass is a life-saver! 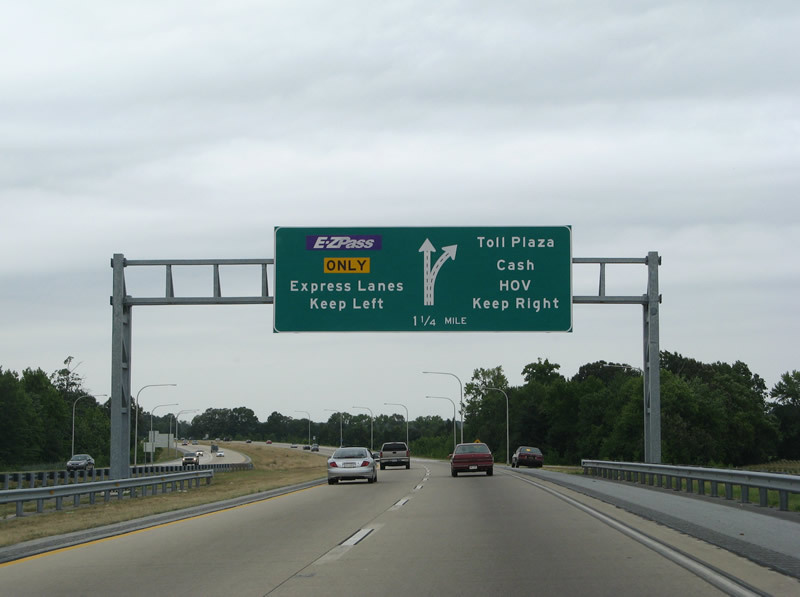 If you have an EZPass (and everyone in NJ and NY should have one by now) you can save up to $6 when crossing the George Washington Bridge, Lincoln Tunnel, Holland Tunnel, Goethals Bridge, Outerbridge Crossing and Bayonne Bridges! The toll for Port Authority Carpool customers is $2 per vehicle at all hours. You must have an E-ZPass account and you must register for the Port Authority Carpool Discount Plan. To register for the Carpool Plan, call 800-333-8655 (New York Service Center) or 888-288-6865 (New Jersey Service Center). Be sure to have your account number or tag number and PIN for account access. Three or more people must be in a vehicle to be eligible for the discount (no commercial vehicles qualify). Customers must use a staffed "Cash-E-ZPass" toll lane and come to a complete stop so the toll collector can verify the number of occupants in the vehicle. A lot of my family travels out of JFK when visiting DR so this will save someone money eventually!